Serrated collar and lockwasher secure unit to line post insulator and prevent accidental disassembly. Cut threads above serrated collar, rolled threads below collar. CPS,5/8in. 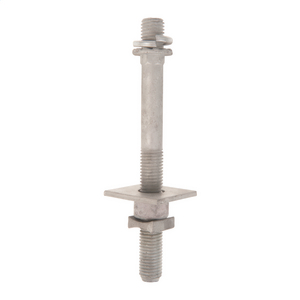 LINEPOST STUD 8 1/8in. 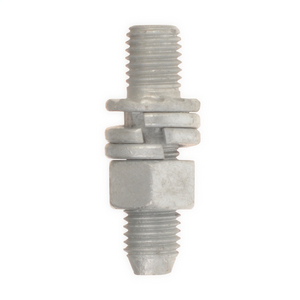 STUD, 3/4in. LINE POST 25 1/8in.